Alabama is located in the southeastern United States. It is bordered by Georgia, Florida, Tennessee, and Mississippi. Over four million people call Alabama their home. What makes the state so attractive to future residents and visitors? It is a combination of factors, including its weather, charm, and delicious food. Visit Alabama. In January, when the temperatures in most of the rest of the United States are dropping into the 20s and 30s, Alabama temperatures continue to remain between 50 and 60 degrees. Alabama offers a variety of landscapes. Therefore, the state invites people who enjoy both the mountains and the beach. You can’t go to the south without getting southern hospitality and the best food around. Some of Alabama’s delicacies include fried green tomatoes and shrimp and grits. If this is enough to strike your interest, then consider making a trip to Alabama. After your vacation, you might discover that you want to make Alabama your permanent home. At National Dispatch, we understand that moving, especially to another state, can be a challenge. Therefore, we offer a wide range of auto shipping services to make your move easier. Are you still not convinced that auto shipping is the right solution? Here are some reasons why you should ship your car. Auto shipping may not cost you as much as you may think. When you factor in the costs of food, lodging, and gas associated with driving, shipping your car can be the better solution. Find out exactly how much it will cost you to ship your car by using our online quote calculator. There are many factors that go into creating your car transport rate. Auto shipping makes for the easier option to save on time. Rather than spending hours, or even days, stuck driving across the country, you could fly to your destination. You do not have to waste vacation days driving. Shipping your car means that it will be places onto an auto transport carrier. This prevents the accumulation of unnecessary mileage, which can decrease the resale value of your car. Keeping mileage down is especially important for individuals who own classic cars. A move can be stressful. This is because you must pack up all your belongings. Then, you have to drive to your new home, dealing with traffic and weather along the way. Auto shipping services relieves this stress, because all the hard work is done for you. Read more on the Benefits of Auto Transport. 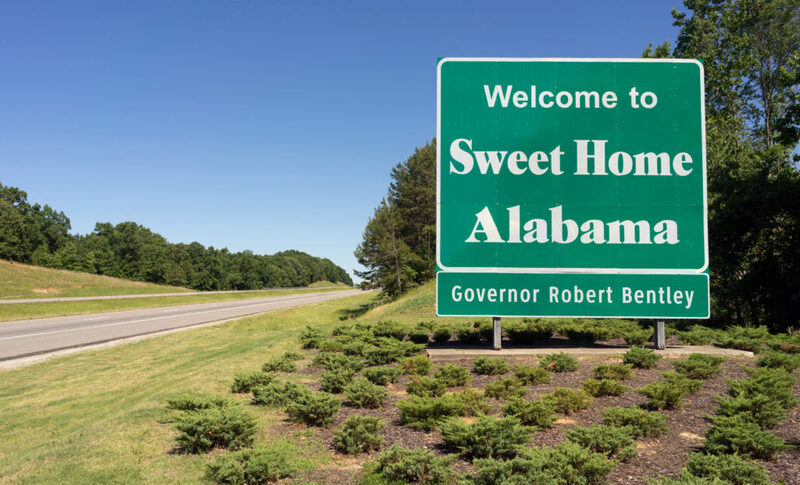 Due to its low cost of living and many great amenities, Alabama makes the perfect home for families, college students, and business professionals. We have listed the top 5 cities in the state. You will want to add them to your list, if only to visit. Birmingham is sometimes referred to as the ‘Magic City’, and for good reason. It is home to world-class chefs, making it a great place to dine. Some of the most popular eateries include those serving barbecue, pizza, and southern cuisine. The University of Alabama at Birmingham is located in the city. This not only attracts students to the area. The university also happens to be a large employer. You will find a large statue of a Roman god, Vulcan, in the middle of downtown. Montgomery is the state capital of Alabama. Like much of the rest of Alabama, you are sure to fall in love with this city. Due to its ties to the Civil Rights movement, it has many sights to commemorate this historic event. Visit the Dexter Parsonage Museum, which was the home of Dr. Martin Luther King. You may also want to check out the Civil Rights Memorial Center or the Rosa Parks Library and Museum. Montgomery is also home to the Montgomery Zoo, which has over 700 animals from 5 continents. Mobile is located on Alabama’s gulf coast. The Mobile Bay, with the many rivers that feed into it, makes recreational activities, such as kayaking, boating, and paddle-boarding possible. There’s an outdoor festival that occurs each year around October. It is known as Bayfest. There are also many other parades and events that take place throughout the year. It is said that Mobile is the site of America’s original Mardi Gras celebration. A must-see is the U.S.S. Alabama that is located at Battleship Memorial Park. Huntsville is located near the mountains of North Alabama. It is nicknamed the ‘Rocket City’ because of its history with space missions. It is also home to the U.S. Space and Rocket Center. Here, you can get an idea of what it is like to work in space by exploring a replica space station. You can also view an authentic Saturn V rocket. Other popular tourist attractions include the Huntsville Botanical Gardens and Monte Sano State Park. The park has hiking and biking trails, campgrounds, cabins, and more. Tuscaloosa, the fifth largest city in Alabama, is located on the Black Warrior River. Many who move to the area find employment in healthcare or education. It is home to the University of Alabama. Alabama Crimson Tide is the football team for the university. There are also smaller colleges in the city, as well. 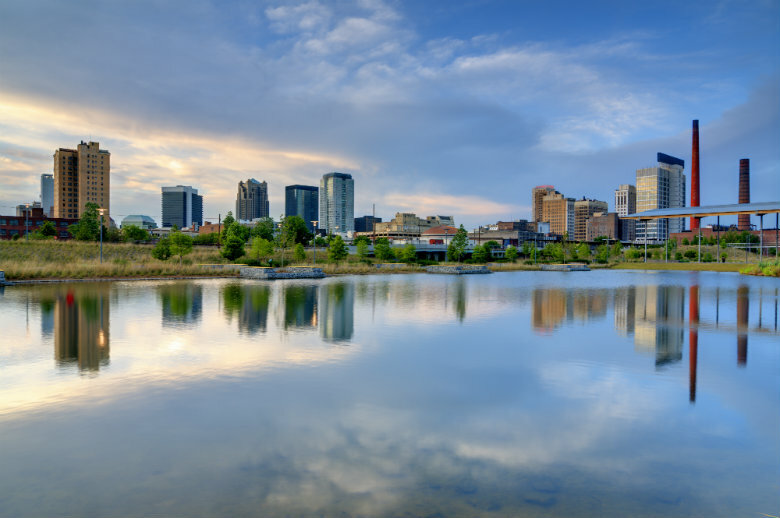 Some of the city’s top attractions include the Bryant Denny Stadium, Tuscaloosa Amphitheater, and Capitol Park. The Tuscaloosa Amphitheater is a venue primarily used for musical performances. National Dispatch is a nationwide auto transport company with a company-owned fleet. If you are in need of auto shipping services to or from Alabama, contact us today. Request a free, instant car shipping quote using our online quote calculator. No personal information is required. Fill out four simple fields: vehicle make, vehicle model, pickup location, and delivery location. If you prefer to speak with an auto shipping representative, call us at 800-321-2051.